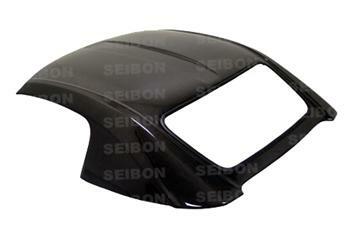 SEIBON Carbon Fiber Hardtop - Dezod Motorsports Inc - Home of the automotive performance enthusiast since 2002. SEIBON Carbon Hartops are designed to replace your factory hardtop or convertible top and accept all hinges, handles and glass for 100% Bolt On fitment. Cut weight and increase handling in style with a SEIBON Carbon Hardtop.